We have just announced on the Official Google Blog that we will soon retire Google Reader (the actual date is July 1, 2013). We know Reader has a devoted following who will be very sad to see it go. We’re sad too. Since we started rolling out the +1 button in March, you’ve been able to recommend content to your friends and contacts directly from Google search results and ads. A few weeks ago, we posted about how you can help Japan by donating via our crisis response page. We’ve been working to enable you to directly donate your AdSense earnings, and are happy to announce that you can donate a portion or all of your entire unpaid balance as of March 31, 2011 to the Japanese Red Cross via the Tides Foundation by filling out this donation form. If you have at least $10 in your account, we invite you to donate your earnings between April 1 and April 12. 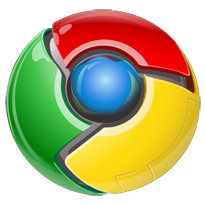 Since we first released Google Chrome, the development team has been hard at work improving the stability and overall performance of the browser. In just 100 days, we have reached more than 10 million active users around the world (on all seven continents, no less) and released 14 updates to the product. We're excited to announce that with today's fifteenth release we are taking off the "beta" label! We've been hinting at this for awhile, but it's finally time to spill the beans: Starting next week, we'll be rolling out AdSense for feeds to a small group of publishers, in anticipation of a full launch to all FeedBurner and AdSense publishers "coming soon". If you start seeing "Ads by Google" on an ad in a feed somewhere, that'd be us. 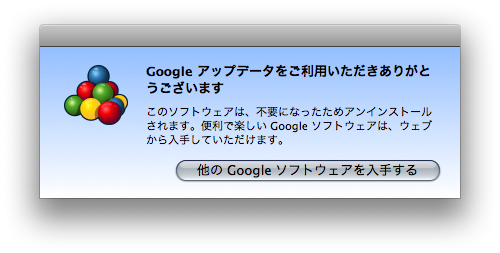 "Google Payment"はGoogle Checkoutの請求を行う、Google incの100%子会社な訳ですが、これはGoogle Checkoutの日本対応が進められている証左なのだろうか? There's really nothing spookier than hollow, empty ad spaces rattling around your blog and/or web site, putting no cash in your pocket nor any extra hob- in your goblin. Before you banish these underperforming idlers to some distant house upon a lonely hill, we recommend redeeming them with a chance to boost your earning potential. This Halloween, the FeedBurner development team is asking those of us who do the announcing around here to make note of the now-available integration of FeedBurner site ads and AdSense. 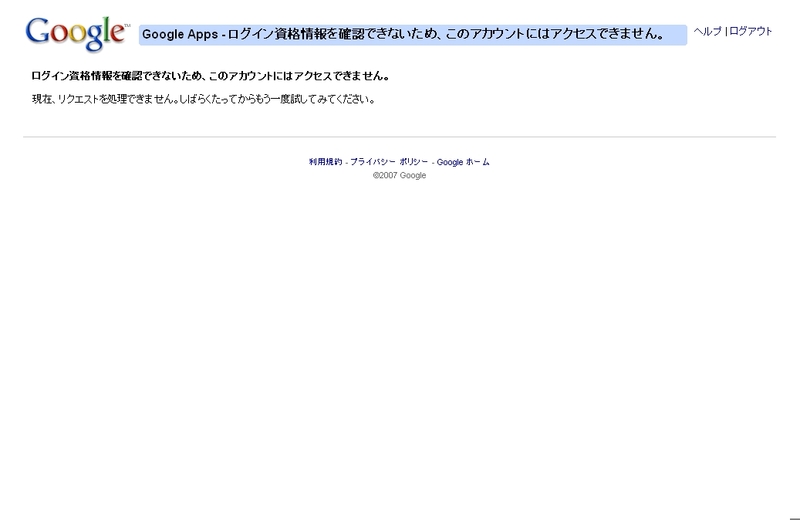 Official Google Reader Blog: "We found it!" That's right, search is finally in Google Reader. Now you can find that that apricot recipe you came across a few months ago and now have a craving for. Or perhaps you'd like to search for "ipod" so that you can read at once all the posts in your subscriptions that mention today's announcements. Today is a big day for us. We learned to speak some new languages. And frankly, you don't translate well. But we both speak English, and we know that "u" and "I" are far apart in the alphabet. We're farther in real life. As you know, we're constantly looking for ways to identify and offer new tools for content creators and website publishers. Likewise, we constantly aim to give AdWords advertisers broader distribution to an even wider audience of users. 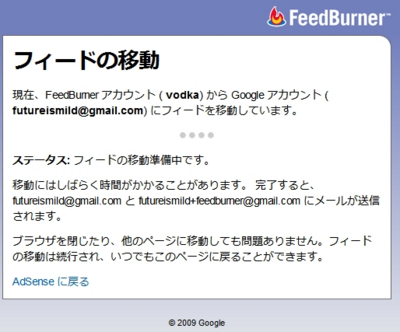 For these reasons, we're very pleased to tell you that we've just acquired FeedBurner. Burning Questions ? It's True-gle! Unlike the rumor that FeedBurner is nearly code-complete on a multiplayer Wii edition, the blog posts, phone calls and conjecture about our future as part of the Google family tree are now officially true.